If you want to capture clear photos and videos of local wildlife, then you can do so on the trail thanks to this high-quality camera. The Stealth Cam P18 is easy to use and offers three pre-set modes so that you can make speedy adjustments. The pre-set adjustments are made with the simple use of a dial, allowing you to set the camera up quickly and efficiently. It has plenty of great features and benefits and will help you to keep track of the movement and patterns of local animals and other wildlife in the area. This Stealth Cam P18 review will help you to get to grips with the essential points about this camera. This camera comes with a variety of basic essentials to enable you to use it as soon as possible. In the box, you’ll get, of course, this amazing stealth camera with its 7.0-megapixel capturing resolution and an infrared sensor. To power the camera, it comes with 8 AA batteries, which will allow you to get using it right away. In order to record the shots taken with the camera, you can use the 4GB SD card that comes with it. The mounting strap makes it easy to strap to an object so that it can record photos even when you’re not operating it. 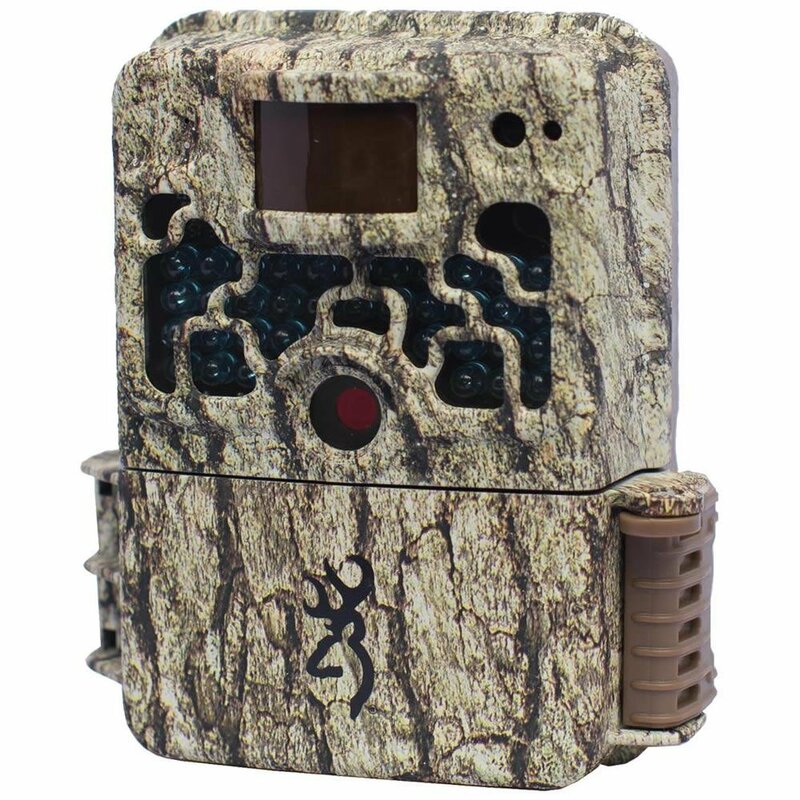 The tree-bark camouflaged housing that comes with it will ensure that your trail camera will go unseen. You even get a handy user manual to help you to make the most out of this camera. This trail camera comes with up to 32GB of memory with the use of an SD card so that you can record a large number of photos or store a decent length of video recordings onto it without having to go back and clear the camera for a while. You can use the storage that comes with the camera, as it is bundled with a 4GB SD card although, if you’d prefer, you can use an alternative card with up to 32 GB capacity. With 32GB of data in total, you are bound to be able to capture a lot of useful images. The P18 trail camera comes with a 60-degree infrared range. This is useful as the infrared means that the camera doesn’t need to be fitted with a flash. It will take photographs and shoot video in the dark without startling any wildlife in the vicinity. It can also capture photos of animals that are off in the distance. You can choose from a variety of shooting modes. A burst rapid-fire mode ensures that the camera takes between 1 and 6 photographs in short succession. You can also set the video to record over 5, 10 or 15-second increments. The video will take up a little more memory, but it can give you a slightly more accurate idea of what is going on. You can extract the images and videos from this camera with ease as it has a mini USB port built into its design. You can simply plug it into the computer and then browse the various pieces of media that have been captured on it. If you wanted, you could take a laptop out to the field and simply download the images quickly without even needing to remove the camera from its mount. This camera has been carefully designed to be weather resistant. You can leave it outdoors for weeks or months without worrying about it becoming damaged by the elements. It is also designed to be as stealthy as possible. Thanks to the infrared night operation, this camera doesn’t need to flash. This means that it won’t suddenly disturb the target when the motion sensor is triggered. Instead, the camera can see in the dark with the use of infrared imaging. The 18 powerful infrared emitters allow the camera to see a range of up to 50 feet in front of it. It is also made with a special housing that has a digital 3D tree bark coloring. The camera is able to go unnoticed by any potential wildlife that may trigger it. This camera requires 8 AA batteries to operate. It comes with 8 batteries in the box so that you can use it right away. If you’d prefer, you can plug it into a 12-volt power supply, although this needs to be purchased separately. 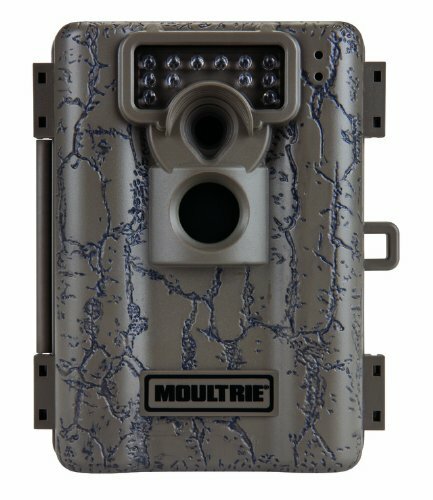 If you are looking for a good trail camera that offers high quality and reliability, this model is definitely worth considering. If you don’t have time to keep going back to your game camera to replace the batteries, it even offers you the option to purchase an additional 12-volt power supply. You will be able to plug it in and have constant power so that you can leave it recording for longer. The many other useful features, as outlined in this Stealth Cam P18 review make it a winning choice for most game enthusiasts. 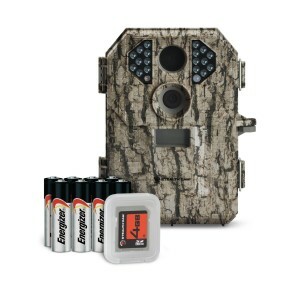 The large memory capacity of this Stealth Cam trail camera allows you to potentially store many months of photos and videos before it is full, which is a great way of monitoring wildlife over a longer amount of time. Thanks to the waterproof and stealthy design, you can rest assured that it will be protected from the elements as well as being undetected by any potential wildlife whilst it is in use. Another good option from the P series of Stealth Cam is the p12 model.